Looking for top apps for college students? 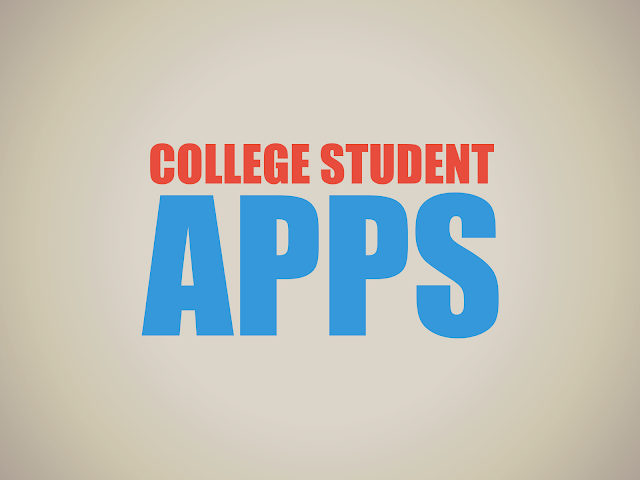 We have compiled a list of essential apps for college students. Being in university is a great thing, but there is a lot that is at play and there is so much that you have to keep track of. That is why in most cases, life flies by so fast - It seems like yesterday when you were registering, yet graduation comes so quickly for both TAFE short courses and degree level study. Keeping up with all you have to do is hard too. However, thanks to technology, there is a wealth of different apps that you can use that can make your life at university more manageable and organized. Evernote is an app that allows you to take notes in all your classes so that you never have to carry those heavy books again. The app also allows you to do a variety of other things like save webpages that you might be using for research and even pictures. Studying is a breeze with Evernote. Yes, this might sound cliché to any student’s supposedly cool life. However, if you have a tendency of forgetting your USB, this might come in handy. With Google drive, you will never have to make that mad dash back home to grab your flash drive and hand in your assignment before time runs out. Self Control is an app that most students need, but might not like very much. It is cutting edge and can save your academic future, though so this is a plus for many who tend to procrastinate. It is ideal for students that find themselves addicted to a number of online sites that do not add value to them or their studies. Using this app allows the student to block the sites for a number of hours or a specified time and this will ensure they are able to concentrate on more important things. If you are a visual learner then Simple Mind+ that allows you to brainstorm ideas, projects and essays with ease and helps you make some vital connections between the different ideas. Internet is crucial when you’re at university. You will need Wi-Fi finder to scout any close areas that might be having free hotspots. Given the tight budget that you may have to contend with on your phone plan this can be a real life saver. Lost On Campus is especially helpful for new students. There is nothing worse than getting lost on campus on your first day and this happens a lot. This app can help you find your way if your university is in their database. University is not all about studies. All work and no play doesn’t make for a fully rounded Uni experience, so staying informed about the best places to hang out can be a very good thing. Happy Hour helps you to find where you can find great discounts, be it at a bar or restaurant. If you are looking to be more accountable with your money or even save for something whilst you’re attending university then this is an app that can definitely help. By simply setting your Weekly Budget, the app helps you to track your expenditure. Whatever you’re studying at University, whether it’s TAFE short courses or a bachelor’s degree, you’re sure to be able to survive Uni life better with these handy apps. Chris believes in a fair education for all. He works tirelessly to ensure that even people from disadvantaged backgrounds have an opportunity to engage with learning. Chris’ passion for education translates in the way he instils a love of learning in the young people at Kangan Institute.